The people of Utah voted on a plan to legalize medical marijuana. Now the state Legislature has usurped the will of the people with a substitute law. The Legislature’s action is unconstitutional and underhanded. 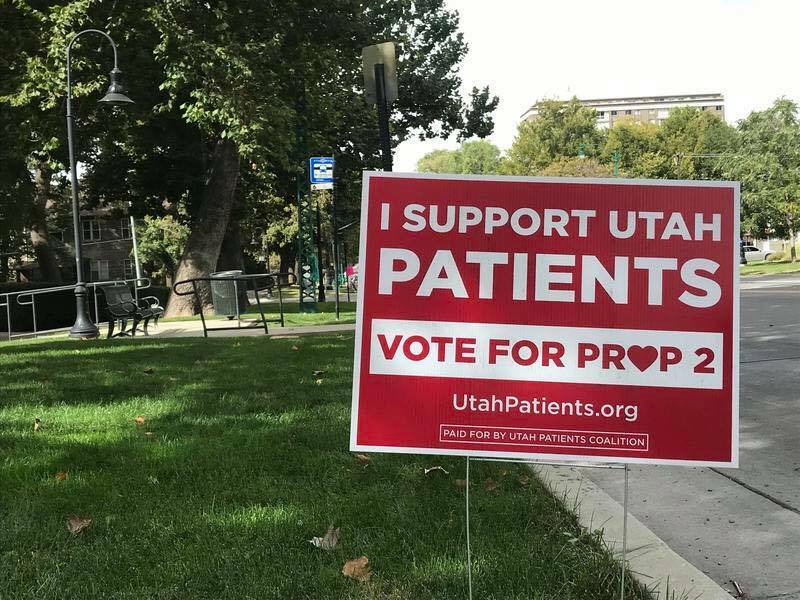 On December 3, 2018, lawmakers voted on a “replacement” for the recently passed Proposition 2, which officially became Utah law on December 1, 2018, after having been passed by a healthy majority of Utahns on November 6 of this year. The law allowed for medical marijuana dispensaries to be set up around the state and for people to grow their own plants if they are not within 100 miles of a dispensary. It established the medical conditions needed to apply for a medical card, how one would go about procuring medical marijuana, and even laid out a stringent application process, including a limit to how many people doctors could recommend medical marijuana to. Due to the immense pressure put on Governor Gary Herbert and the Utah Legislature by certain welfare and religious groups to undermine Prop 2, including the Utah Medical Association and the Mormon Church, the Legislature began crafting a compromise bill in March of 2018 in the hope that, if the proposition law failed, they could satisfy the majority of medical marijuana proponents; sort of a “better than nothing” deal, and silence us that way. Unfortunately for opponents of medical marijuana, the law passed and medical marijuana was then legal to anybody who was able and willing to jump through the hoops of the application process. This meant that the “compromise” bill was effectively dead in the water by virtue of the Utah Constitution. Now we are here in a sticky situation in Utah, and not from all the marijuana oil pouring into the state. The government is basically choosing to ignore the law of the land, the Utah Constitution, and over 54% of Utahns in order to keep their pockets lined with cash and the Oligarchy happy. They called an emergency session (because they can do that in a state crisis). Now, why am I so angry about this? What’s so bad about a compromise? In short, we won. We don’t have to compromise. The longer answer is that this “compromise” destroys even the appearance of what it claims to be. The application process changed so that people who would have qualified under prop 2 and would have benefitted from medical marijuana no longer can qualify. It completely guts the availability of medical marijuana, which has to be recommended by a health professional, the prescription mailed to the only marijuana processing plant in Utah, the bud packaged in a blister pack, mailed to one of five specialty pharmacies in Utah, and only then can one pick it up. On top of that, the bill eliminates all edibles that look like snacks in favor of caplets that will have to go through the same process. Even the oil is strictly controlled in this manner. Live 101 miles from the nearest pharmacy? TOO BAD! You cannot have any marijuana plants for personal use, because that would undermine the marijuana industry in Utah. Have chronic pain that takes a semi-trailer’s worth of drugs each year to deal with? Unless you’re addicted to opioids, TOO BAD! You have to exhibit severe physical signs of pain or be addicted to a prescribed substance to even qualify for a card. In the Utah Constitution, it gives two ways for a law to be passed. Either a bill can be proposed by a lawmaker, be voted on, and be signed off on by the governor, or the people can propose and sign off on the bill. The way that the Utah government went about “replacing” this bill is underhanded and illegal. I hope that people read this article and decide to take action against Utah and the illegal practices that it condones. Together we can make our world a better place. Andrew Morrison grew up in the town of Providence, Utah. His imaginative childhood was spent in his backyard pit playing Flintstones.